Sinn Féin's Pearse Doherty will be hoping to defend the Dáil seat which he has held for only a matter of months when he runs again in Donegal South-West. 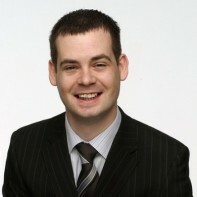 Doherty was elected to Pat "The Cope" Gallagher's vacant seat in November 2010 with almost 40 per cent of first-preference votes. The 33-year-old sat on Donegal County Council for three years from 2004 - 2007 before winning election to the Seanad's Agricultural Panel. Doherty was also a general election candidate in 2002 and 2007. However, he was unsuccessful on both occasions. Doherty is a fluent Irish speaker and a member of Guth na Gaeltachta, a non-political organisation aimed at promoting the Irish language.